After heavy rains on last year's roadtrip, I have noticed that there is a lot of dirt staying on the front side of the engine. 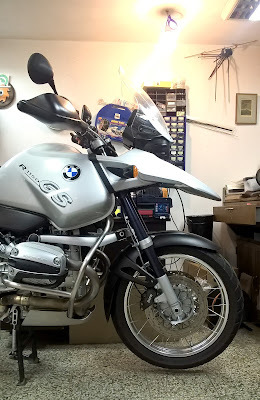 So I decided to install some fender/mud-guard extender. I heard of two manufactures that produce them: Maier and Pyramid Plastics. Due to the fact that the Pyramid Plastics "Fenda Extenda" costs about the half of the price (about 30 USD) I decided for that one. It is made of ABS plastic. 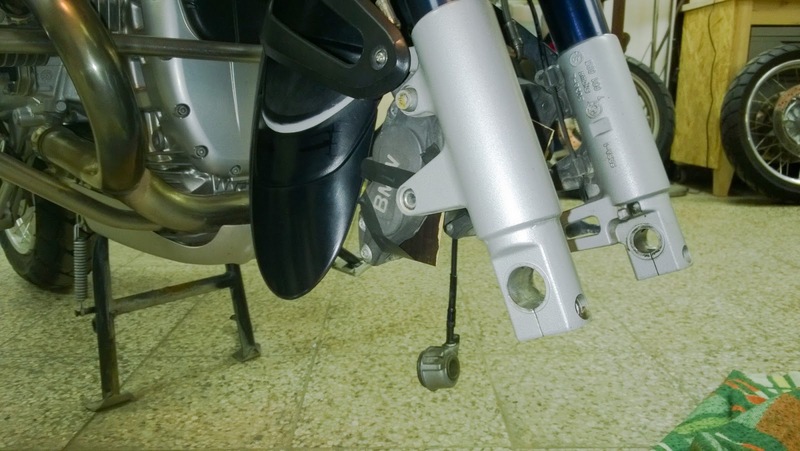 It comes with plastic rivets and two-sided-adhesive trip, that is not intended for keeping the extender in place, but for installation process only!!! You can also buy some accessory (glue, 3M adhesive mats) if you do not want to fix the extender in some mechanical way (with the plastic rivets). This was also my case. I fixed it using "Pattex - One for All" polymer adhesive. 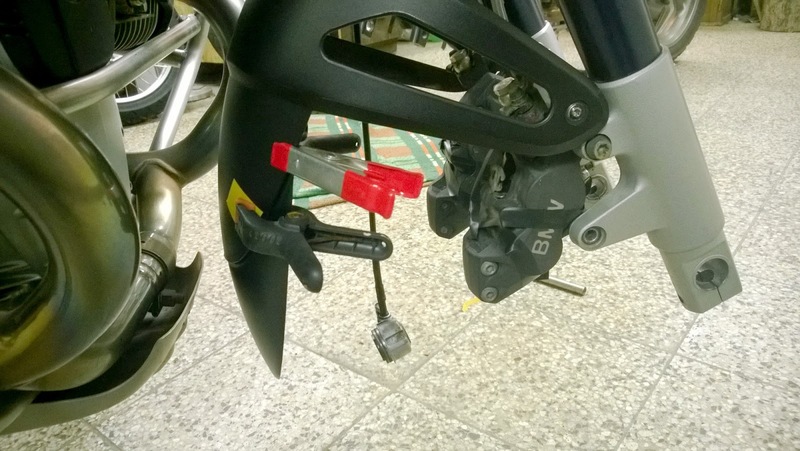 Some reasonable amount of adhesive was placed on Fenda Extenda and it was placed on original fender where it was temporarly fixed with clamps in proper position for more than 24 hours in 20°C. When the glue was stiff enough, I removed the clamps and placed some additional glue from inner side to reduce the posibility of dirt getting between the original fender and the extending part (what is more it also helped to increase the glue amount in the joint).